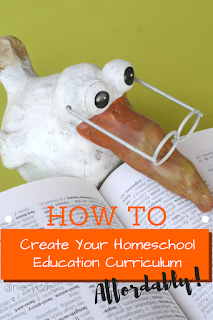 How to Create Your Homeschool Education Curriculum Affordably! 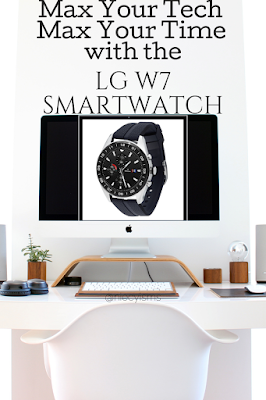 Defining our goals with one word has become an increasingly popular trend. As homeschooling families, current trends easily carryover into educational content curriculum. Here's a powerful word to serve as the foundational structure for homeschool organization- "Focused". 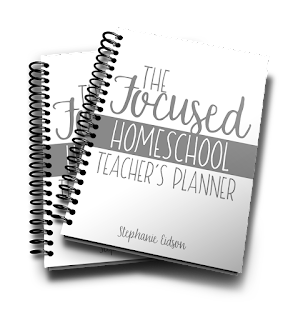 The Focused Homeschool Planners are exclusively designed by a homeschooling, Multi Taskin' Mom, to efficiently plan and coordinate lessons, manage assignments, and most importantly, help keep our students organized and focused. Thank you to The Muti Taskin' Mom for the courtesy of providing an Advanced Reader Copy as a member of the MTM Homeschool Planners launch. There was a time when I sat down with countless resources, lists, and charts, determined to create the ideal educational curriculum. 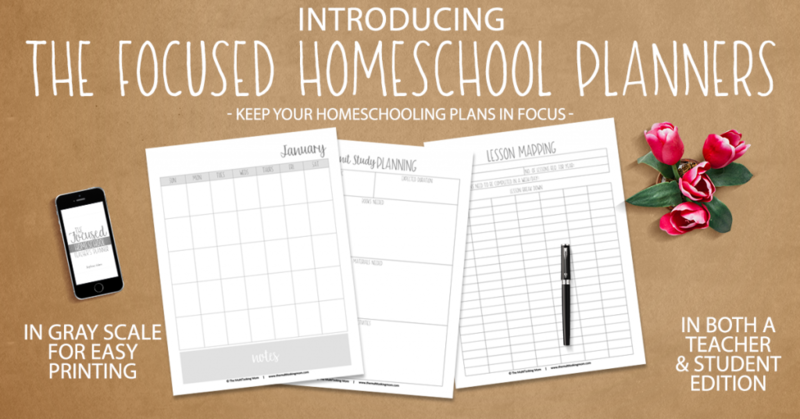 Brilliant by design, The Focused Homeschool Planners enable families to easily and affordably organize and plan their homeschool content. Homeschooling is a commitment that families diligently decide to embark upon following purposeful research. 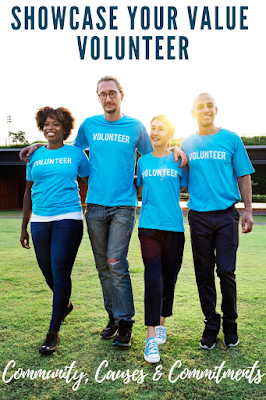 Challenging ourselves to achieve educational goals and milestones stems from a distinct vision for each day, month, and year of this incredible experience. Planning lessons and maintaining accurate records of assignments, achievements, and credits earned is an essential part of the educational process. 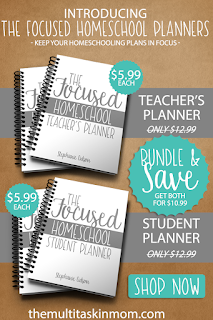 The Focused Homeschool Planners are ideal homeschool planning tools. Each one is packed with planning forms and documents for organization and convenience. Complete with over 100 resource pages in the bundle, each planner contains planning pages for monthly, weekly, and quarterly planning. 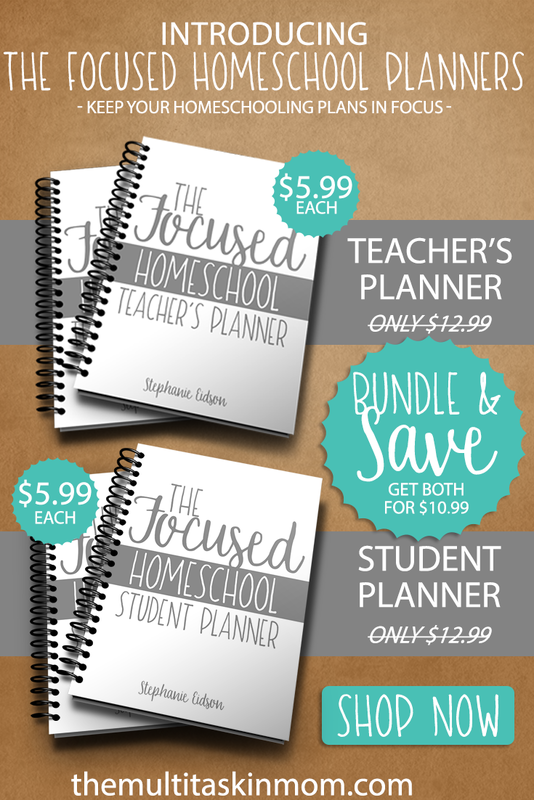 As an exclusive launch offer, from 12/26/17 - 1/12/18 The Focused Homeschool Teacher's Planner or The Focused Homeschool Student Planner are available for only $5.99 OR purchase the special offer bundle for only $10.99, PLUS during this promotional launch period, a BONUS Quotes and Dividers is included. Each page of The Focused Homeschool Planners are designed in gray-scale for easy, budget-friendly printing. Unleash your creative expression with stickers, washi tape, colored pens, and other decorative items to personalize your planners. 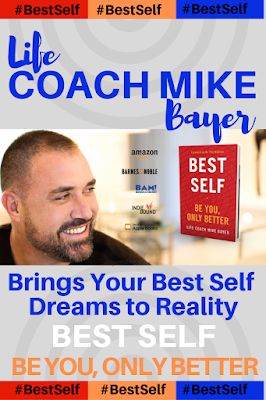 Learn more and grab your copy today! For a limited time, get both of the planners during the launch period 12/26/17 – 1/12/18 for only $5.99 each OR order the bundle for only $10.99!